Are you looking for a wireless speaker which fits in your pocket? Are you somebody who loves to let others listen to your music collection, often quite loudly? 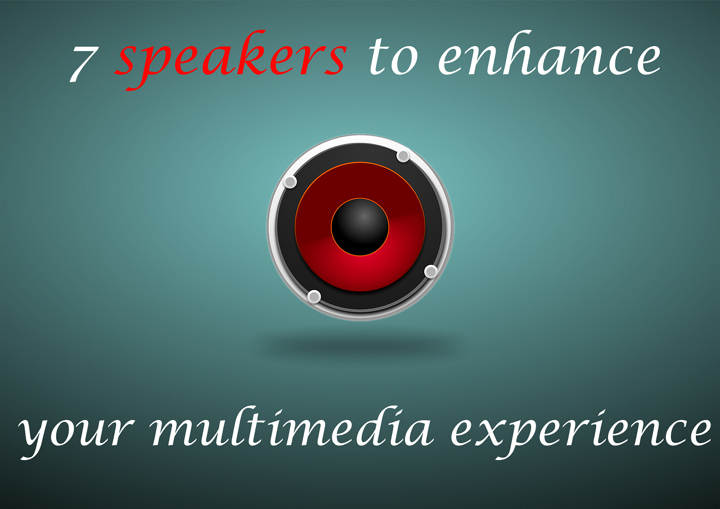 If so, we have the list of speakers that will suit your requirements. We take a look at these wonderful gadgets you would love to have in your travel bag. The product of Cambridge Soundworks, OontZ Angle 3 Next Generation Ultra-Portable Wireless Bluetooth Speaker offers a high quality sound with crystal clear audio. OontZ comes with more bass and a louder stereo sound. It meets the IPX5 water resistance standard which means it is resistant to gentle water splashes and sprays. It has a built-in Mic that enables you attend your calls from smartphones and iPhones. This Bluetooth engineered by Cambridge Soundworks– a trusted brand in the industry for more than 35 years – comes with 2200 mAh battery giving 7 hours of playtime. 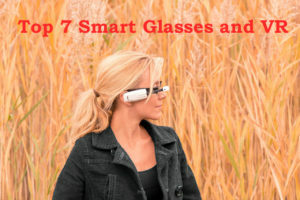 This is a Bluetooth headset which can be paired easily to a device sitting up to 33 feet away. This 5 inches long compact speaker will fit into your backpack or travel bag. The Cambridge Soundworks’ speaker is one that would be a practical choice if you are looking for that extra bit of sound power while outdoor, especially where there is a need of a waterproof speaker! The Amazon Tap Portable Bluetooth speaker is shipped and sold by Amazon Digital services. It is Alexa enabled. 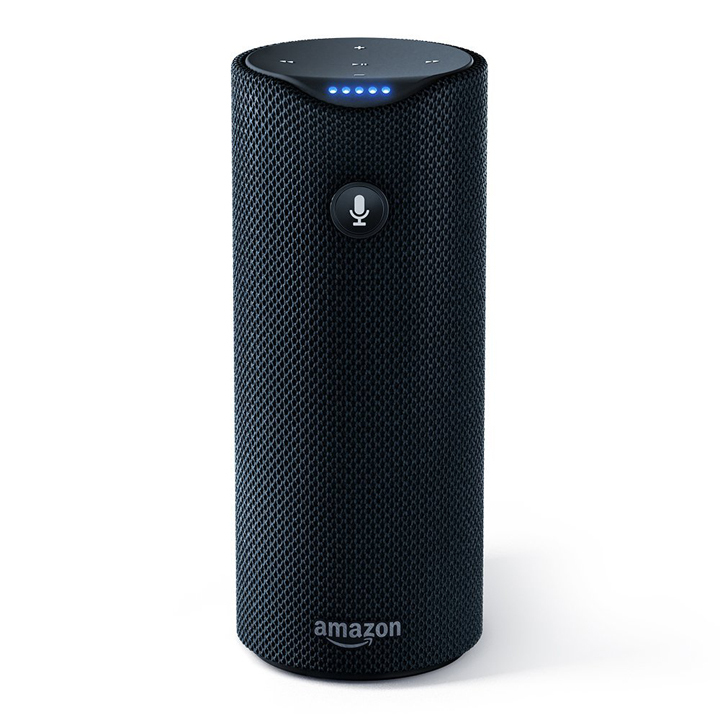 Alexa enabled services equips this device to connect to a Wi-Fi Network or a mobile hotspot to access information from the internet. 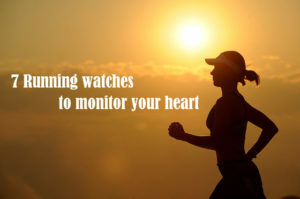 This could include reading news, playing music, ordering items or even reading out weather reports. You can tap the microphone button and ask for music from services like TuneIn, Pandora, Spotify, iHeartRadio, and Prime music. 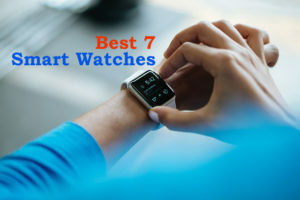 While having all these wonderful features, it also lets you connect to your smartphone via Bluetooth and play music from it. The dual stereo speakers enabled with Dolby processing, offer an extended bass effect and clear vocals. It is compact, weighing only 470 grams and holds well in your palm while providing 360 degrees omni directional audio. A single full battery charge will keep you up for about 9 hours of continuous music playback. In fact, when the battery is running low the Alexa would notify you vocally about it. To add to it, this comes with a charging cradle, another feature that makes charging easy and you can listen to music even while charging the device. The Alexa app is compatible with Android, iOS, FireOS and can also be accessed from a web browser. 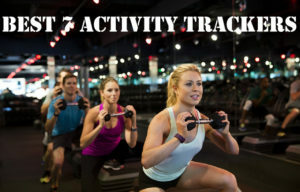 The features offered can only get better and bigger. So you can expect lot more from this Portable Bluetooth speaker. I would call this a SMART portable Bluetooth speaker that does more than what a regular speaker does! This ultra-portable Bluetooth speaker weighs just 317 grams and is just 5 centimeters tall. But do not discount its sound quality and bass. This cylinder shaped wireless speaker produces 3-Watt sound with the help of 40mm speaker driver. This compact yet powerful speaker will give you quality sound even when outdoor. ROKER S-Cannon Bluetooth speaker comes with 400 mAh Li-ion battery to give you up to 5 hours of playing. 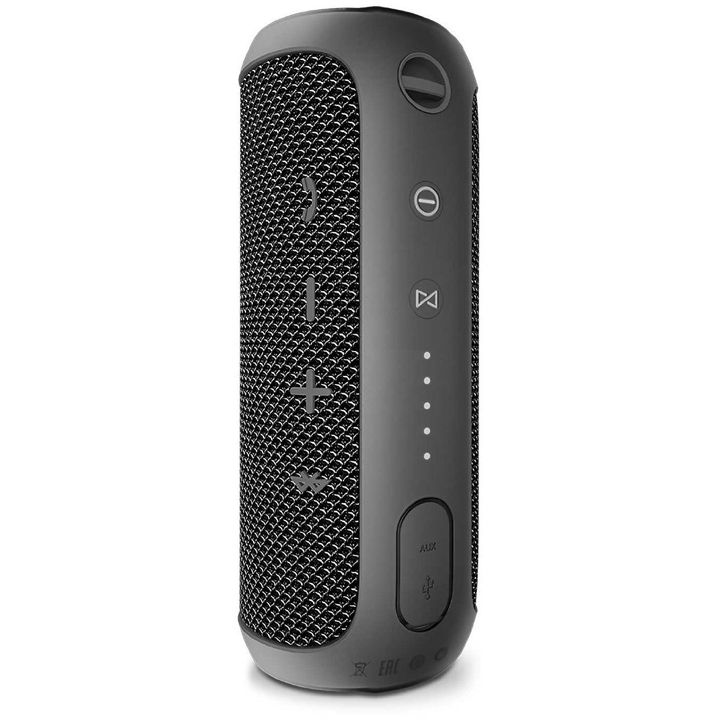 This Bluetooth 3.0+EDR compatible speaker has a built-in card slot to support MP3; a facility that only some wireless speakers offer you. You can see the controls at the lower side and the ON/OFF button at the bottom of the speaker. The functions for Play/Pause, Backward/Forward (These buttons when pressed long controls the volume), TF card slot and microphone are placed at the lower side of the speaker. You can play the music in three ways; by connecting via Bluetooth or TF Card or a wired connection to its 3.5 mm jack. 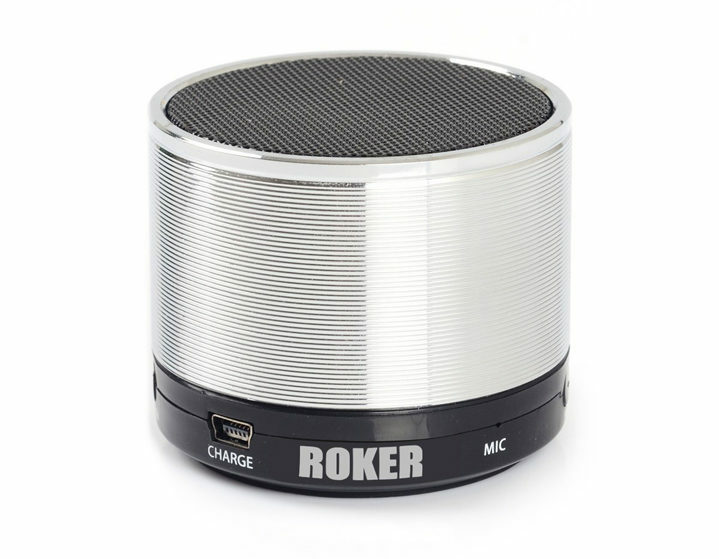 This mini Bluetooth speaker from ROKER is not a mini speaker if you consider the amazing features it offers. I would recommend this product to anyone who wish to hear music outdoors mainly because of its compact and sleek ‘Screw’ shape design; not to mention about the dimensions (2x2x1.6 inches). The “Screw” shape is incorporated in order to avoid accidents like dropping or slipping. 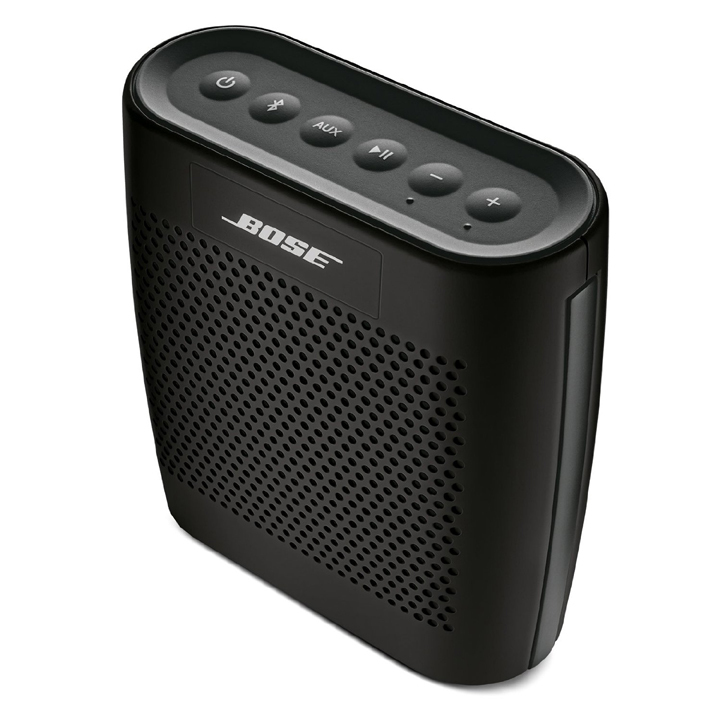 Bose SoundLink Color is a Bluetooth enabled speaker which is compact enough for you to carry around in your backpack or travelling bag. Just like the name indicates it comes in 5 different colors to give you the stylish look. This 5.3 inches tall wireless speaker is just 2 inches wide making it easier to fit into your back pack or bag like a small notebook. The control functions like play, pause, ON/OFF, increase and decrease volume and power are on the top, bringing increased visibility. The USB port and the auxiliary ports are at the back of the device. Its Lithium-ion battery gives you 8 hours of playback and voice prompts you to charge when the battery is low. 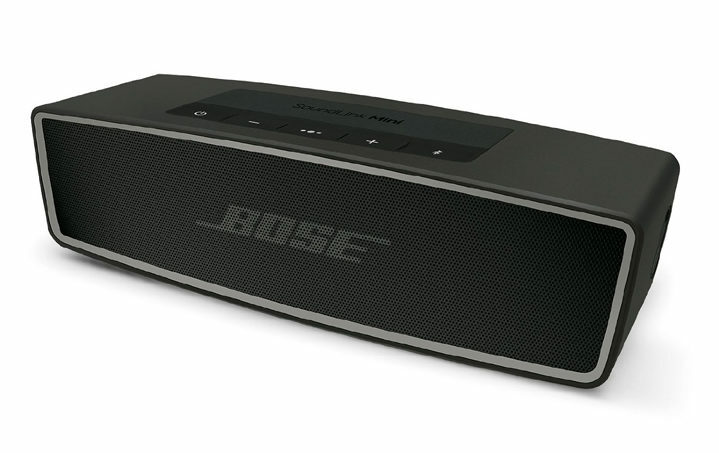 Well, Bose keeps things simple and the design is also elegant. 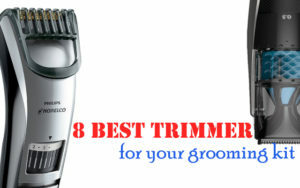 The company has developed a simple yet physically appealing product without compromising on the quality. The Soundbot SB510 HD Water Proof Bluetooth 3.0 Speaker offers a playback time of up to 6 hours on a complete charge. This wireless speaker delivers hands-free crystal clear call clarity from a distance of up to 33 feet. It is universally compatible with Android devices, iPhones, iPods, MP3, MP4, smartphones and other Bluetooth enabled digital music players. 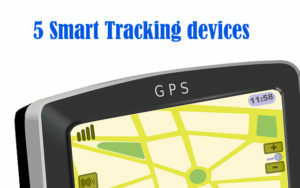 It uses Bluetooth 3.0 + EDR technology. We found the sound of the speaker to be loud and at the same time clear as well. 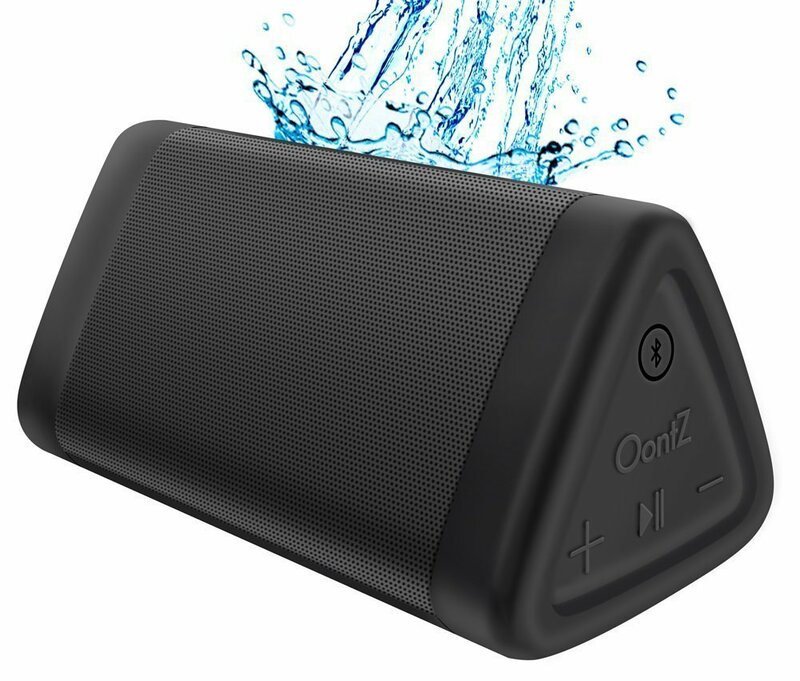 This mini Bluetooth speaker is water proof, not just splash resistant. In fact you can use it in a shower wall as well. 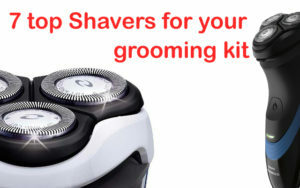 This is a huge advantage if you are someone who loves to listen to music in the shower or while lazing in the bath tub. 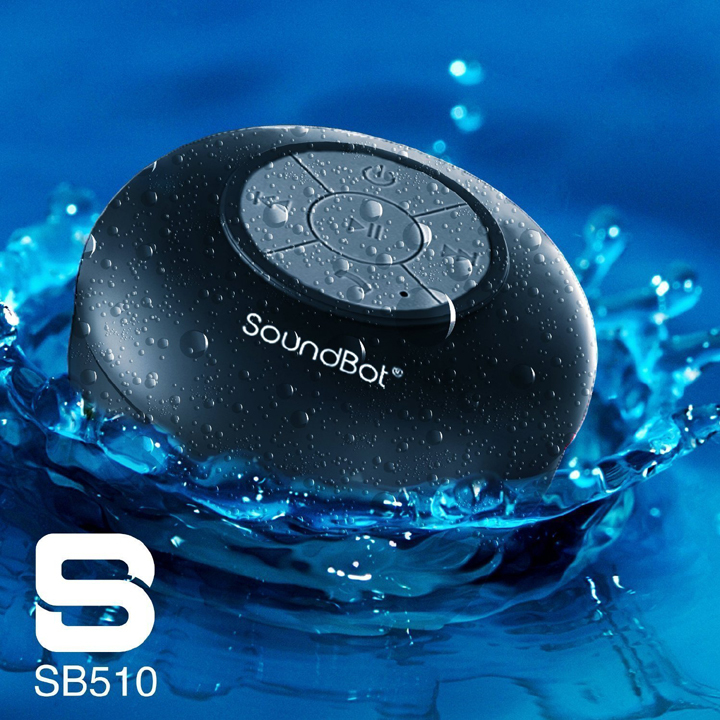 The Soundbot SB510 HD water proof Bluetooth 3.0 speaker wouldn’t disappoint you even a bit. 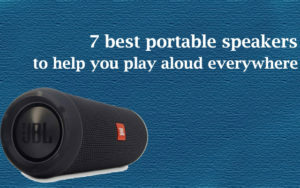 You would love its sound quality and be surprised by the power (loudness). This tiny little thing indeed packs a punch, while not being averse to water. There is a suction cup supplied along with the device that you can use to stick it to your wall or any flat, smooth surface. It is sturdier that what it looks like. The built in mic also works well. You can use this as a hands-free speaker phone, the call quality being pretty good. It has intuitive controls that make navigation easy. Pressing the power button longer enables pairing mode. Once your turn off this speaker after pairing it with a device, you get connected to the last paired device on powering it up. Quite a useful feature that saves you time and effort involved in paring a device again. 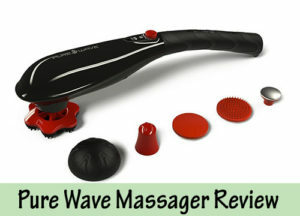 Well, here is a device that you can use in the shower, kitchen, outdoors, swimming pools and almost anywhere. This Mini Water Resistant Wireless Shower Speaker, Handsfree Portable Speakerphone with Built-in Mic ensures that the environment does not dictate your music experience. The Flip3 Splashproof Bluetooth speaker by JBL comes with speakerphone technology and powerful sound. Let us look in to the features of this Bluetooth speaker. First I would like to mention about the speaker being “Splashproof”. 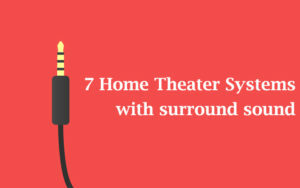 This means you do not have to worry about the speaker getting damaged in spills or rain. JBL boasts that their Flip 3 speakers can be even washed in running tap water; just cannot submerge in water.The other big plus is the battery. The 3000 mAh Li-ion battery gives you 10 hours of high-quality audio nonstop. Another specialty is that you can connect multiple Flip 3 enabled speakers using the JBL Connect to enhance your sound ecosystem. The style and design is the next thing about which I want to speak. It comes in 8 different colors to choose from. The unique factor about this speaker is that it integrates all control functions to one button. The play/pause, answer/end calls and forward/backward tracks (Double tap to forward and triple tap to backward) are controlled by the same button. This 7.5 inches tall Portable Bluetooth speakers will definitely surprise you with its sound quality and bass. In fact, the Flip 3 technology gives the boost to 8watts. To sum up, if you are looking for Water proof Bluetooth speaker with a long lasting battery; JBL Flip 3 is the answer to your quest. These are the 7 best computer speakers to enhance your multimedia experience outdoors. These compact and portable best computer speakers let you enjoy a vacation or a party at home with its latest features and sound quality; not to mention about the compact design.